Take a hiking tour through Tenerife’s beautiful Anaga Mountains. Stroll through the dense forests and learn about the diverse flora and fauna from your informative guide. 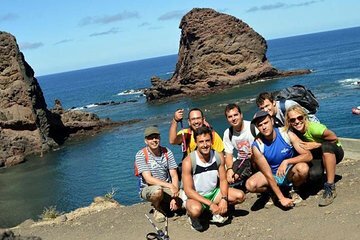 Then head to the Roque Bermejo fishing village to swim, snorkel, and soak up the sun in this remote area. Finally, sample some delicious goat cheeses and wines before heading back to La Laguna.